OpenTEA was invited to participate in the workshop "Dr. Start-upper" organised by the Università Cattolica del Sacro Cuore. The speech (given by Gabriele Sacchettini) was meant to share experiences gained by OpenTEA to undergraduate and postgraduate students interested on developing new start-ups. In particular, it was discussed how we came up with the business idea, how we reached the market and which results we have obtained so far. OpenTEA participated at the international exhibition AQUAFARM with a poster presentation describing the new e-learning course on real time monitoring of sea contaminants. Based on e-learning needs highlighted in a previous EU project (ECsafeSEAFOOD), a free interactive on-line course was developed in the frame of the EU project SEA-on-a-CHIP aiming to provide a general overview of monitoring sea contaminants, and to showcase the SEA-on-a-CHIP device, a compact, miniaturized and autonomous on-site analytical system for real-time monitoring of harmful contaminants in seawater, developed to be used as an early-warning system in aquaculture facilities. This work highlights the opportunity to create long-term added value through enhanced collaboration between educators and researchers, and identifies a common set of priorities that has to be taken into account in order to nudge the changes required to achieve a more sustainable aquaculture and, more in general, sustainable development. 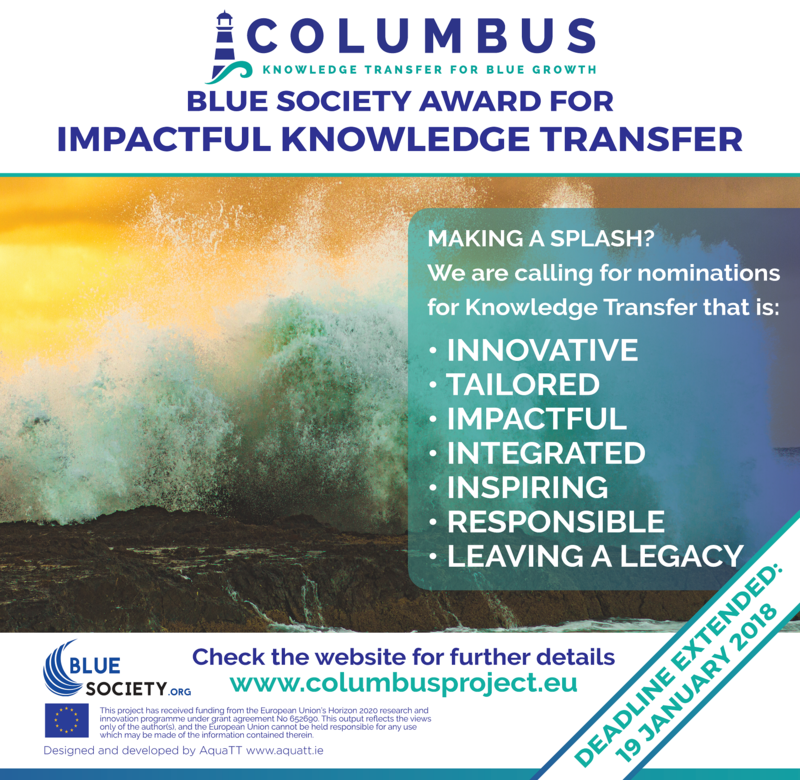 Among fifty applicants, OpenTEA was shortlisted among the best five practice examples of successful knowledge transfer in marine-maritime sciences sharing the experience on the e-learning course on real time monitoring of sea contaminants developed in the frame of the european project SEA-on-a-CHIP. 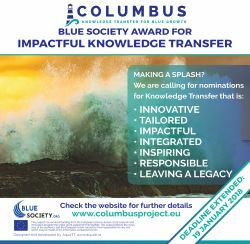 The nomination was made in the frame of the COLUMBUS Blue Society Award for Knowledge Transfer and it was scored against the following criteria: Innovative: developing new concepts, processes, tools, methodologies and/or technology; Tailored: targeting specific audiences; Integrated: accessing the entire research project lifecycle; Impactful: creating measurable uptake and application; Leadership and Community Empowerment: inspiring change; Responsible: complying with the RRI principles; and, Legacy: achieving impact beyond the project lifetime. OpenTEA participated to the 15th edition of Tomato World (the international exhibition dedicated to the professional system of industrial tomatoes) with a dedicate stand. The objective was to share the main OpenTEA features among key stakeholders with the final aim of building useful synergies to enhance the use of e-learning technologies for training and communication along the tomato chain. 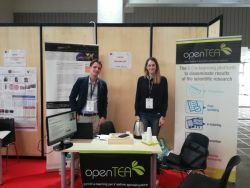 According to our style, a cup of tea was offered to each participant visiting our stand. OpenTEA participated at the 7th International Conference on Pesticide Behaviour in Soils, Water and Air with a poster presentation describing OpenTEA approach in developing three free complementary e-learning tools for a sustainable use of pesticides in agriculture. The new tools, developed in cooperation with Opera Educational and Training srl and Università Cattolica del Sacro Cuore, are composed by: a) BROWSE, an e-learning tool able to build personalized training programmes by collecting and integrating existing training material on pesticides use; b) SUPTRAINING, an e-learning course, with the aim to help operators, advisors and distributors to get prepared for their national certificate test; c) LINEEGUIDA, an e-learning course defining specific guidelines on sustainable use of pesticides at farm level. A full advertisement page in the next issue (March 2017) of the CiBi Magazine is dedicated to OpenTEA as relevant e-learning platform with special focus on sustainability in the agro-food sector. 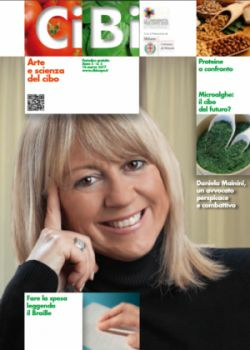 CiBi Magazine is a food oriented Italian journal born in 2013 in the frame of the universal exposition EXPO 2015 (Feeding the Planet, Energy for Life). This page, briefly describes our mission, our approach and what makes OpenTEA different compared to other available e-learning platforms. The objective of this advertisement is to enlarge our network, finding new opportunities to develop additional e-learning tools for a sustainable development in the agro-food sector. A scientific paper was published in Science of the Total Environment (STOTEN) journal including results related to the e-learning tools developed in OpenTEA for a sustainable use of plant protection products in agriculture. STOTEN is a major international journal for scientific research into the environment and its relationship with humankind. The paper, entitled “Link practical-oriented research and education: New training tools for a sustainable use of plant protection products” highlighted the key role played by Operator training to achieve a sustainable use of pesticides. It also describes how the outcomes of different European and national research projects were merged together in OpenTEA to develop complementary e-learning tools for operator training. Stakeholders and socio-behavioural factors influencing exposure were considered highlighting the need of collaboration between educators and researchers. 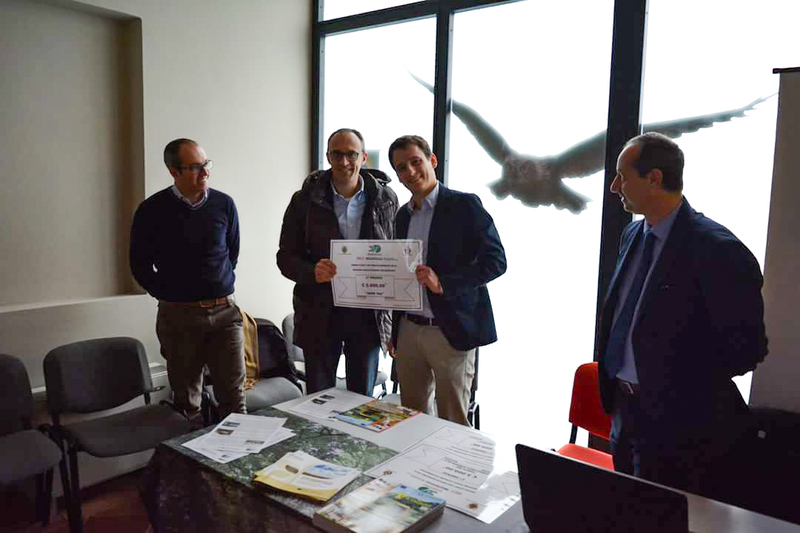 OpenTEA was awarded with the first prize of the start-up competition “Start Cup ER 2015 – Stirone Piacenziano” as best start-up idea providing e-learning services to disseminate results of the scientific research. 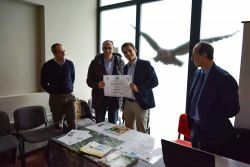 The prize was issued by Ente di gestione per i parchi e la biodiversità Emilia occidentale including a financial contribution as well as free use of a new office in San Nicomede (Salsomaggiore Terme, Italy).